Home / LIFESTYLE / REVIEWS > / DVD REVIEWS / Do you remember John Mills drinking lager in the film or was it the advert you remember? Ice Cold in Alex (StudioCanal). World War 2 adventure directed by J. Lee Thompson. In 1942 an ambulance makes a 600 mile journey across the Libyan Desert from Tobruk to Alexandria. The most remembered image is the four characters sitting in a bar drinking lager because it was later used by Carlsberg in an advertisement on TV. There’s plenty of suspense when they are driving though a minefield or getting stuck in quicksand, a scene which isn’t any the less gripping for being a straight crib from Wages of Fear. The patriotic music during the sequence when the quartet is desperately pushing the van up a sand dune is absurdly loud. John Mills is a very blond, pooped-out officer, nerves frayed and drinking too much. 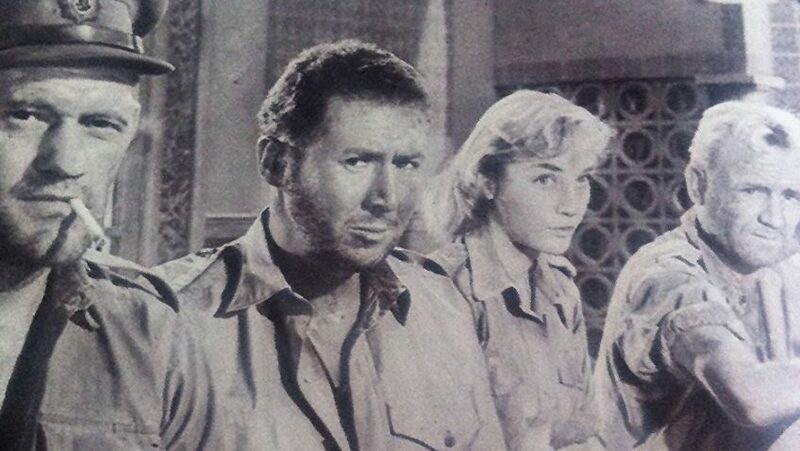 Standing next to Anthony Quayle and Harry Andrews he looks a bit comic, a tiny David among Goliaths. Quayle has to emulate Jean Valjean in Les Miserables and lift the ambulance when it gets stuck in the sand. Popular though it was, it was a big surprise when the international critics voted it the Best Film at the Berlin Festival. The Party (Picturehouse Entertainment). A politician (Kristin Scott Thomas) has just been promoted to Shadow Health Minister and celebrates by inviting a few friends round for drinks. The party gets off to a bad start when her husband (wide-eyed Timothy Spall looking very ill) declares that he is dying and loves another woman. Which is news to her but old news to her guests, who include a butch feminist (Cherry Jones) and her wife (who is pregnant with three children), another woman (Patricia Clarkson) who is very acidy and her husband (who talks in clichés), plus an investment banker on drugs and carrying a revolver. I felt I was watching an adaptation of a bitchy, hysterical OTT lesbian stage farce. Sally Potter wrote the screenplay and directs. Crooked House (Universal) An Agatha Christie country house murder without either Hercule Poirot or Miss Marple doesn’t feel right; though to be fair three of her biggest successes, The Death of Roger Ayckroyd , And Then There Were None and The Mousetrap, had neither. Glenn Close heads the cast. She at least has presence. Max Irons is fatally dull as the private detective. The other actors fail to register. We are told the house is a hotbed of suppressed passions. If only it were. The script is bad, the characterisation is poor and the direction is leaden. Christie’s ability to surprise is undeniable when the time comes to declare who the murderer is. Strike: The Silkworm (Warner Brothers Entertainment) Cormorant Strike is a good name for a one-legged private investigator. 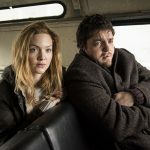 Tom Burke and Holliday Grainger, who plays his assistant, are engaging actors but the script is boring. A novelist writes a book in which he makes slanderous remarks about lots of people and is then murdered presumably by one of them. The script spread over two episodes is by Robert Galbraith (aka J. K. Rowling). Burke, tired-eyed, a shambolic charmer, is so laid-back that he never seems to be really involved. Grainger is bright-eyed and does her very best to look interested.